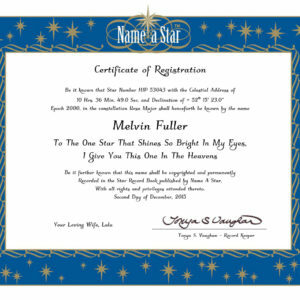 Memorial Stars by Name A Star are dedicated in honor of your loved ones who have passed away. 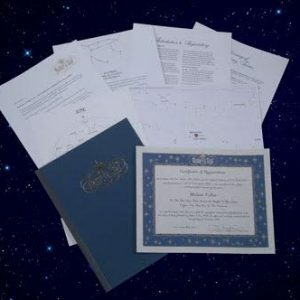 With a memorial star, we offer a unique Name a Star Package. 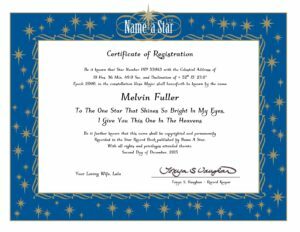 Add your own personal tribute to the star certificate. 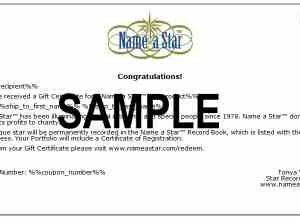 The star you name in memory will be recorded in the Name a Star Record Book, maintained by Name a Star since 1978. Most important of all, the Memorial Star is placed in a constellation that is visible all year round. 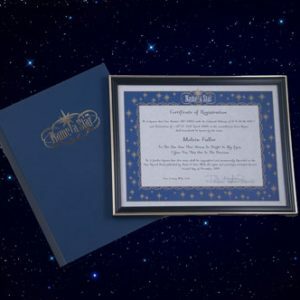 A Memorial Star is an extraordinarily powerful gift. The star’s continued presence in the Polar Sky helps keep memories alive with a simple glance to the heavens on a clear, starry night.